Performers: Ensemble Mosaik, Prometeo String Quartet, Natalia Pschenitschnikova. 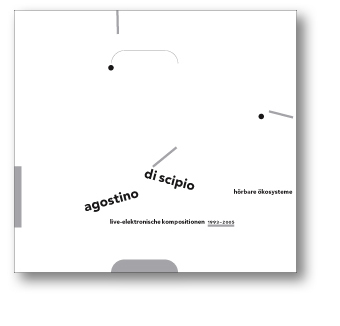 agostino di scipio teaches his sounds to listen to themselves. the digital sound processing algorithms associated with the pieces listen to their own results, and then modify themselves accordingly, during the course of the piece. through complicated cybernetic procedures inside the black box the software adjusts to the heard in order to create the unheard.